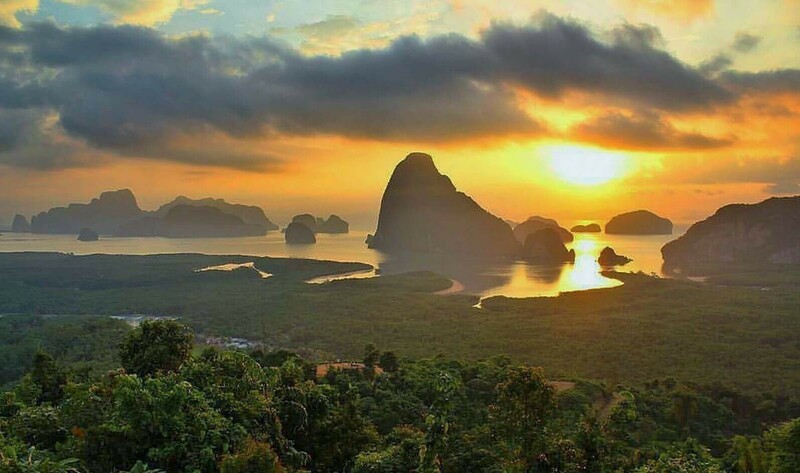 • The James Bond Island: we will visit the most famous spot all over Phang Nga Bay at much less crowded than ever as this spot usually overcrowded with loads of visitor. • Straight heading to Koh Hong for Canoeing activity. Will experience & amaze the nature’s wonder that only accessible by canoe. • Koh Nok, a very beautiful small island with white sandy beach & less crowded. A time, relaxing and swimming in this beautiful island. • Lunch on this trip will be at the beautiful Koh Yao Noi (Beach Front Restaurant). • Visit a rice farm at Koh Yao Noi and exploring a loyal life. • Just next to where take the lunch, visit Koh Yao Yai as the last destination for sunbath and swimming at white sandy beach before heading back to Phuket. • 15.00 Arrived at Royal Phuket Marina and transfer back to the hotel. Swimming wear, shorts, beach towel, sun block, sunglasses, light foot wear & camera, also some small money for little shopping in some spot. • NOT ALLOWED ON THE BOAT : if over 70 years old/ pregnant woman/ having any medication disability is NOT responsible for any refund if already have been picked up by the driver as need to cancel the trip booked and send back to the hotel. • The program/ timing might changes depending on tide (sea condition), weather conditions, accident or any other reason that concern for the safety and comfort of all the guest.